Briggs & Stratton was founded in Milwaukee, Wisconsin in 1908. A partnership between Stephen F Briggs an electrical engineer and Harold M Stratton a grain merchant. Mr Briggs was the inventor and his partner Mr Stratton the investor. 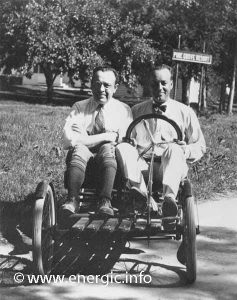 The two entrepreneurs came together to build a new petrol-powered vehicle at the beginning of the automotive age. They then progressed into automotive parts – locks, ignition switches, igniters etc. In 1910 Briggs and Stratton where incorporated, after which time starter switches became the mainstay of the business. In 1919 the A.O. 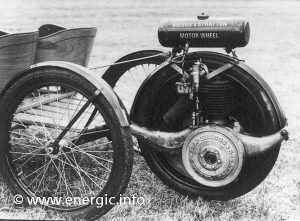 Motor Wheel, the early predecessor to the famous “P” engine – powering bikes such as the Briggs and Stratton Flyer. 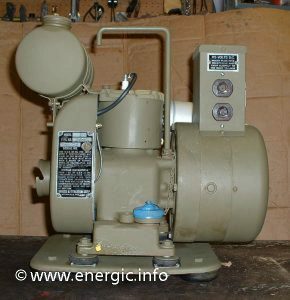 The P moteurs portability powered had many applications; washing machines, garden tracteurs, rotivators, generators etc.many machines. 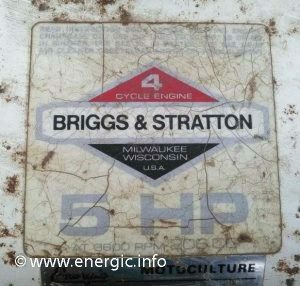 Briggs and Stratton P engine. 1928 Bolens with Briggs and Stratton PB engine. 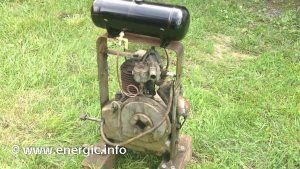 In the 1930’s, Briggs and Stratton developed a number of new engines they where used extensively in agriculture and the military. Now with distribution centers and repair services. Later designs of the P type where used in World War 2, along with Briggs and Stratton ignition switches, ordinance fuse caps, magnetos and generators. 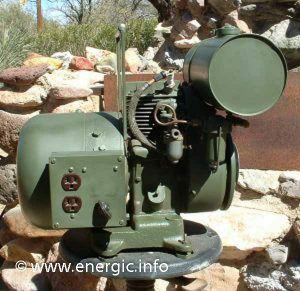 Briggs and Stratton world war 2 engines for military purposes. 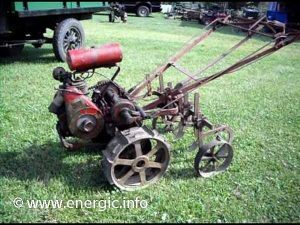 1953 saw Briggs and Stratton revolutionize the lawn mower market by producing the first aluminium light weight engine. By 1957 the aluminium engine accounted for 80% of the produced. Further development brought the introduction of the “Kool Bore” engine, which is the mainstay of engines to this day. Throughout the 1950’s Briggs and Stratton produced 2 000 000 engines per year. In 1960 Briggs and Stratton expanded the Milwaukee plant to cope with increased demand. With such innovations as Easy Spin starting, automatic starting, exhaust improvements etc. And the Quite power engine of the 1970’s. Mid 1970,s saw the Japanese imports rise into the American and European markets. Briggs and Stratton took on this challenge with more innovation and efficiency of production. 1980 saw development on prototype of electric hybrids, equipped with a small twin cylinder 4 stroke engine. Briggs and Stratton took on the premium Japanese engine manufacturers with more innovation and efficiency of production, this mass marketization of the early 1980’s lead to further expansion and investment for more efficient production. 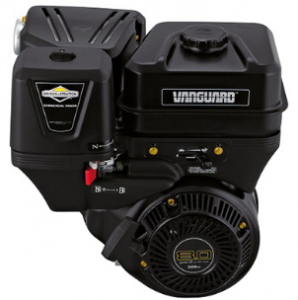 The introduction of the new Vanguard engines, saw a marked step up in efficiency. This lead to joint ventures with the Diahatsu Motor company and along with a strategic alliance with Mitsubishi Heavy Industries saw Briggs and Stratton re establish in presence in the premium engine sector. 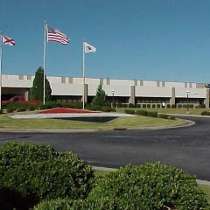 1993 Briggs and Stratton entered the Kart racing sector, supplying engines, parts, racing gear and information through a network of a 100 Briggs and Stratton Motorsports centers in the US and Canada. Now Briggs and Stratton makes more racing engines for Karts to dragsters than lawn mower engines. Today Briggs and Stratton is a global company and are the world’s largest producer of air cooled petrol engines; for lawn mowers, snow blowers, portable generators, pressure washers, and other outdoor power equipment. They are developing new markets providing power, involved in transportation, electrical products and emerging markets for powered products. Offering 100+ models of engine, from 3.5 to 25 hp, in 102 countries with a massive dealership of over 32 000 service facilities. Truly a global company. Briggs and Stratton Plant at Milwaukee 2000. The Briggs and Stratton engine/moteurs are used the Energic Rubis Motobineuses range in both 3.5 or 5 cv 4 temps. 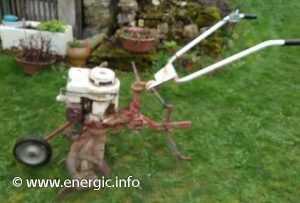 Energic motoculteur Rubis Briggs & Straton 5cv.